Take Autumn and put it in a dish – this is just what it tastes like !! I just can’t tell you how good this was – it was simply divine ! Everyone who tasted it wanted more. 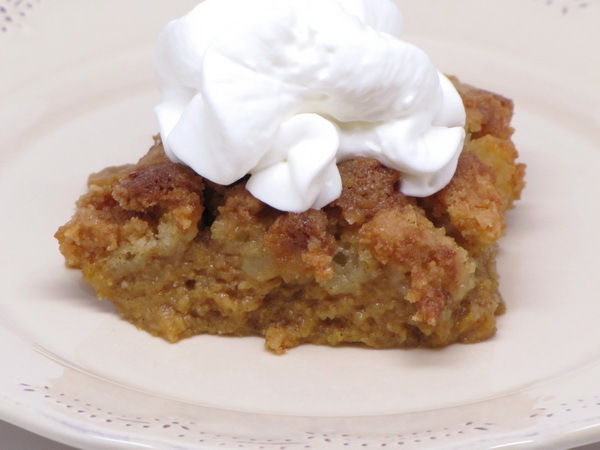 The buttery crumbs on top were way better than any pumpkin pie crust I have ever had – it adds a whole new dimension to this dessert. 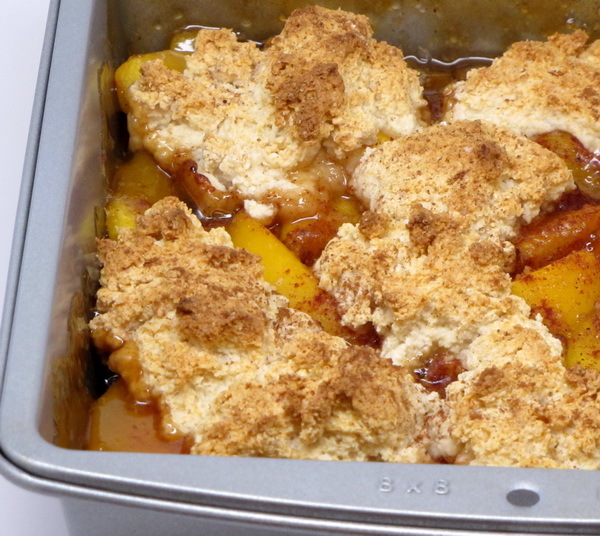 To make this decadent dessert, all you do is grab a Pumpkin Cobbler mix from Plentiful Pantry and add a few ingredients from home – some water, some canned pumpkin and some butter. Bake for a bit and you have a dessert that will make you the Queen or King of desserts in your family 🙂 Serve with some chopped nuts and /or some whipped cream on top. 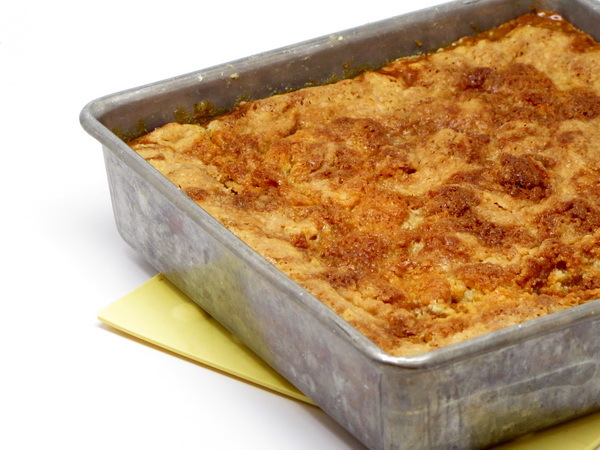 I don’t know that I’ll ever make a pumpkin pie again – this is just so special…so good. Please try some today – you’ll be so happy you did ! 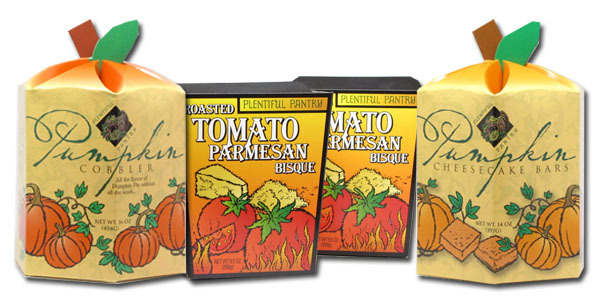 Head on over to Plentiful Pantry and use COUPON CODE 4HCOL25 and get 25% off your order ! And be sure to check out our CONTEST (which will be announced in just a bit) – you could win 2 free mixes !! It’s that season ! We’re done with BBQ’s and cookouts and focusing on fall flavors and rich comfort foods. Plentiful Pantry is sponsoring 3 great prizes and you’ll find the contest information exclusively here on 400 Calories or Less. Stay tuned over the next weeks for information on how you can win some great comfort foods mixes so you can quickly whip up Roasted Tomato Parmesan Bisque Soup, Pumpkin Cheesecake Bars, and Pumpkin Cobbler. Beginning 9-20-10 and running for 3 weeks, each Monday I will be putting up a review of one of the above mentioned products and will announce a contest where you can win that product. You don’t want to miss your chance – these products are fantastic. The dishes taste completely homemade, yet they are quick and easy. All you do is add a few ingredients from home and you end up with authentically awesome dishes. So mark your calendars and be on the lookout for three weeks of contests with prizes from Plentiful Pantry. As well, we will have a special checkout code available for you that gives you a 25% DISCOUNT for any shopping you do over at Plentiful Pantry ! !